Victoria will get almost $8 billion for new roads and railway lines from Tuesday’s federal budget, with nearly a third of the nation’s infrastructure pie to be spent on addressing the state’s escalating congestion problems. Given Melbourne’s dramatic population growth and the burden that’s placing on the city’s transport network, nearly a third of the government’s $24.5 billion infrastructure budget will be handed to Victoria. About $1.75 billion will be set aside to help build North East Link and for new tunnels and extra lanes on the Eastern Freeway. 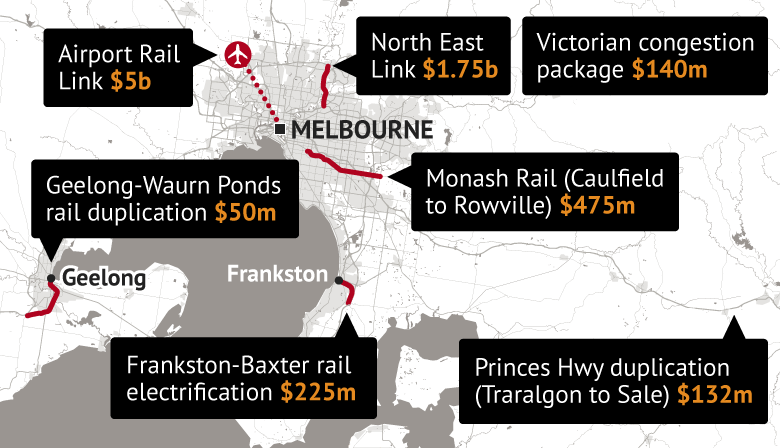 The deal, which comes after years of stagnation, details two new railway lines for the south-east, including $475 million to link Monash University’s Caulfield and Clayton campuses and $225 million to electrify the Frankston line to Baxter. 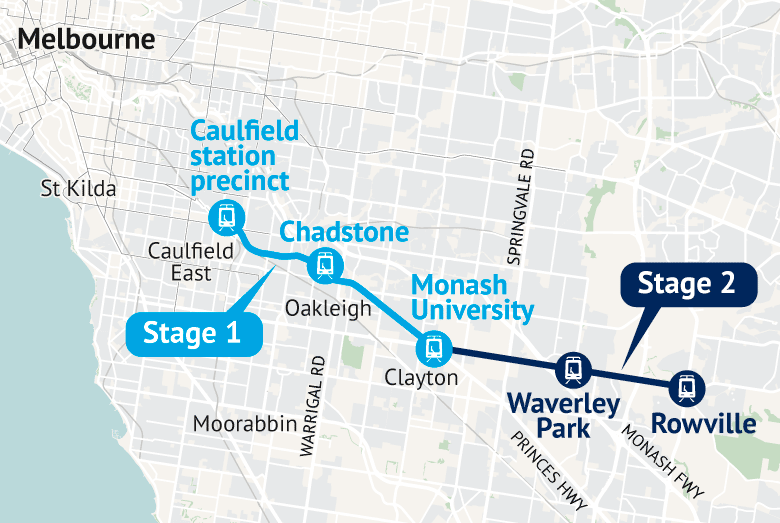 In the past, the state government has expressed a desire for Caulfield and Clayton to be linked by a tram, rather than a new rail line. Other details of the $75 billion infrastructure package over the next 10 years includes $5 billion for an Airport Rail Link. Under the budget package, $140 million will also be set aside to ease suburban bottlenecks. Federal budget 2018: What can we expect? With the federal budget due to be handed down on Tuesday, Fairfax economics editor Ross Gittins takes us through what we can expect to hear and whether its good news or bad news. It also includes completion of the Princes Highway East duplication between Traralgon and Sale, with $132 million to be be set aside for separation from Melbourne. About $50 million will go to duplicating the railway line between South Geelong and Waurn Ponds. Tuesday’s federal budget will also unveil a new Urban Congestion Fund, an expansion of an existing fund to spur investment in new projects and help commuters. In the past, the fund was an important promise from Prime Minister Malcolm Turnbull at a time when he was battling perceptions that Victoria was missing out on infrastructure funding. Mr Turnbull set up the fund as part of negotiations with Premier Daniel Andrews but the model will now be replicated elsewhere to respond to traffic congestion concerns. ”We’ve never seen so much work going on,” Premier Daniel Andrews told 3AW radio on Monday morning.